Big Brother Season 20 in 2018. Tyler Crispen and Angela Rummans fell in love on Season 20 of Big Brother. Angela placed fourth but Tyler walked away with $75,000 for finishing as the runner-up and being crowned "America's Favorite Houseguest." 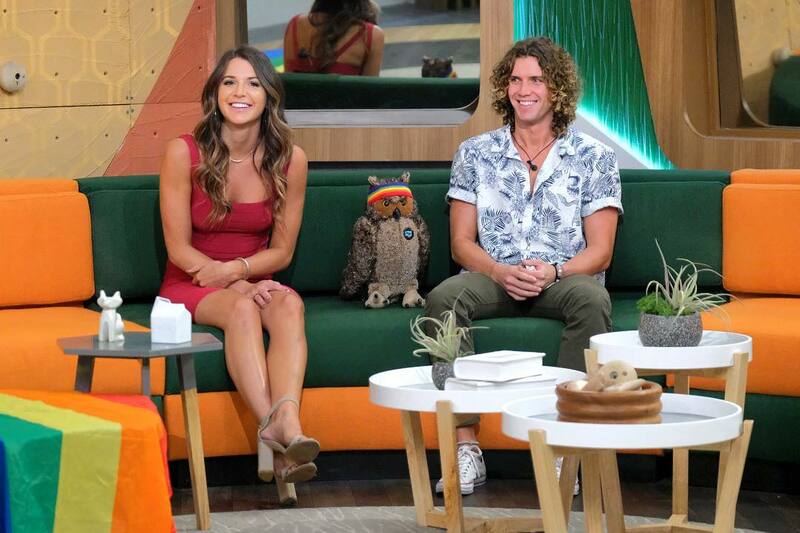 Angela and Tyler -- nicknamed "Tangela" -- left the Big Brother house at the end of Summer 2018 as a dating couple and did not want to part ways. Tyler therefore moved in with Angela right after the finale aired and did not return to Hilton Head, SC. Months later, the couple decided to move into a beachside condo together in Los Angeles, CA, to start fresh. Their relationship is still thriving, as Angela told Entertainment Tonight she can only stand to be away from Tyler for "a few hours." Angela has made it known she's ready for a marriage proposal, but Tyler has said these things happen naturally. However, Tyler insists he knows Angela is The One for him without a doubt.